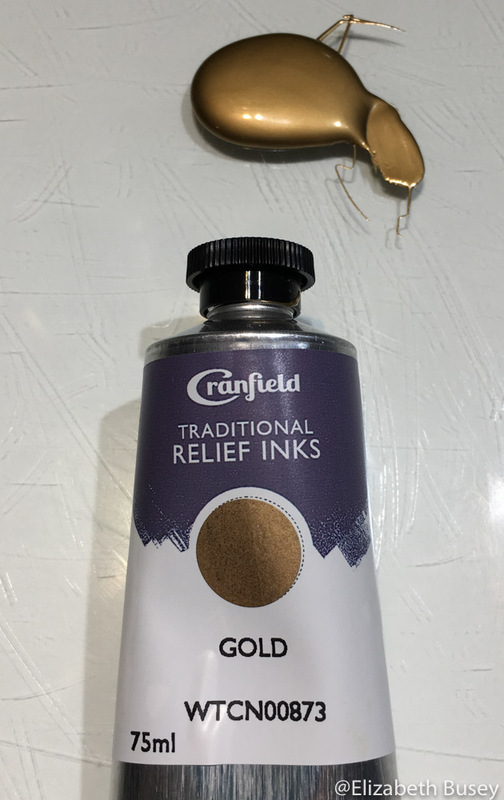 Looking for a new gold ink. More pigment makes all the difference. Hi Elizabeth, I’m with Hanco Ink. You may want to take a look at some of the current golds we carry. The can in the picture is about 10 years old and has been discontinued. You’ll want to try our Brilliant Rich Gold or our Rich Gold paste. They are much brighter than the old Metal Sheen metallic ink. Give me a call at 847-952-1511 and we’ll get you fixed up. 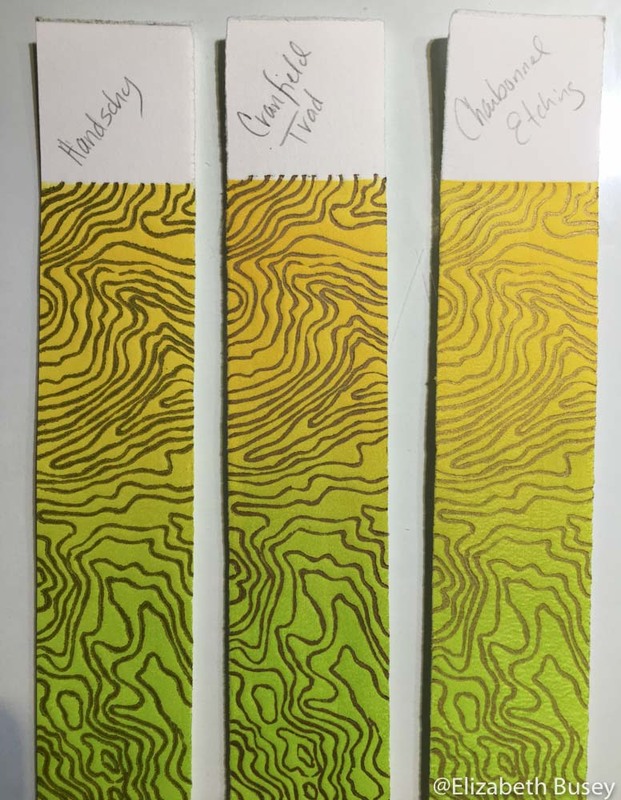 Thanks for the update on Hanco inks. I will make sure to update my blog to reflect the new offerings! Great info about ink and the search for a great gold. Here’s my dumb question, can I apply the Charbonnel gold on to hot press paper that has not had any gesso applied? I’m always concerned about ink, oil and acidity. Thanks for any advice you can offer. Hi Jeffrey — Not a dumb question at all! I may be overthinking this, so forgive me if I miss what you are asking. 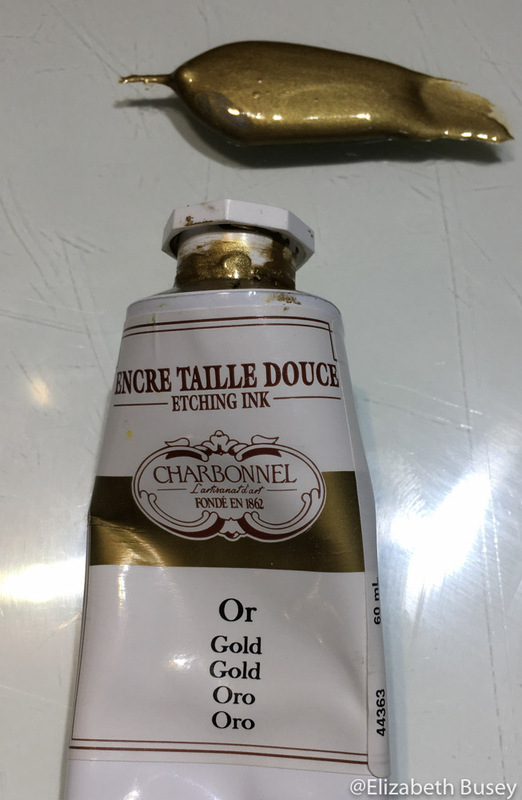 It sounds like you would like to paint Charbonnel gold etching ink directly onto a hot press watercolor paper. I believe hot press paper is cotton, which is the same as the paper I use — Rives BFK. Oil-based inks are made to be put on paper in thin layers and absorbed into the paper. If you use it sparingly, you will probably be fine. If it is thick, it might crack and fall off. I’ve never tried printing on hot press paper. You might do a test application on a scrap before putting it on a finished work. 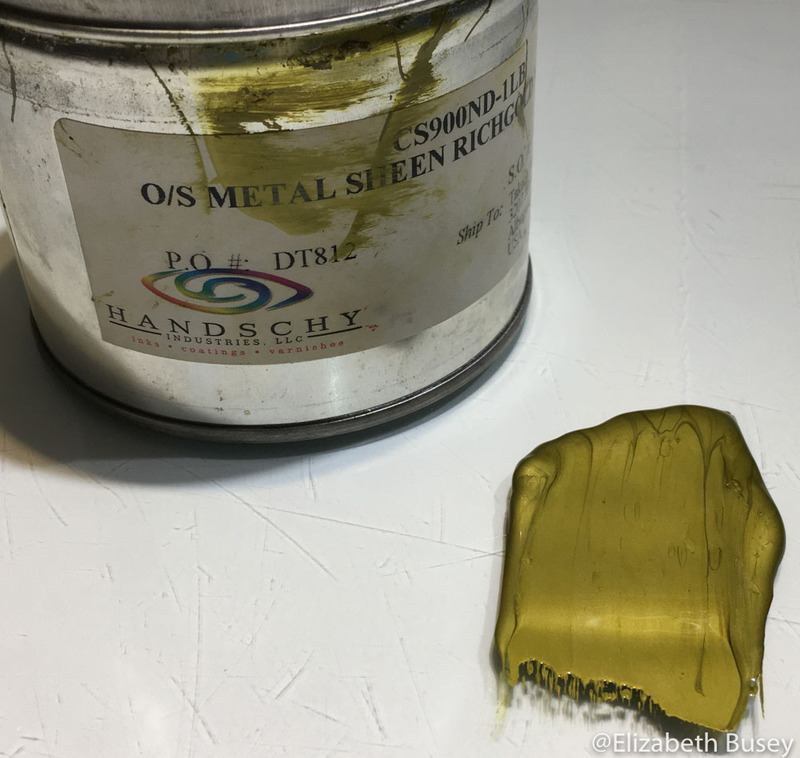 You will be able to see how shiny it actually is – as I noted in my blog, inks can often disappoint. 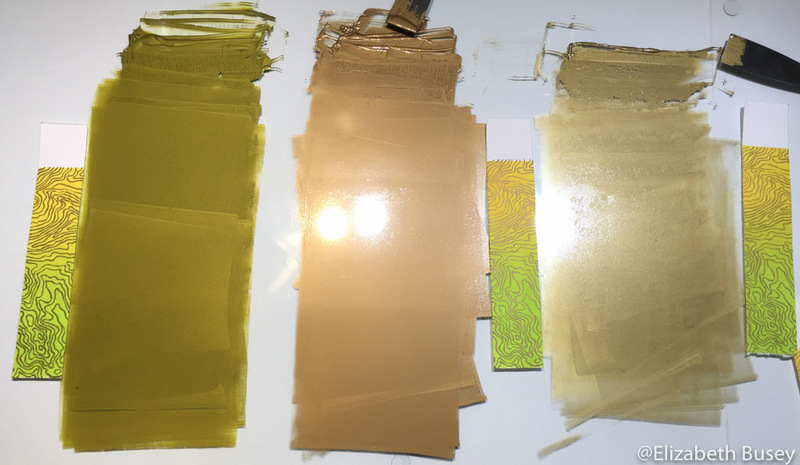 Your question about gesso and acidity made me wonder why it is that raw fabric must be primed with gesso before being painted with oil paints, but oil-based inks don’t affect paper. I have put out some information requests from some sources, and I’ll let you know what they say. Maybe a blog post! If you really want gold gold gold, you might consider actual gold leaf. I have used a Old World Art water-based sizing and have found this to work well.